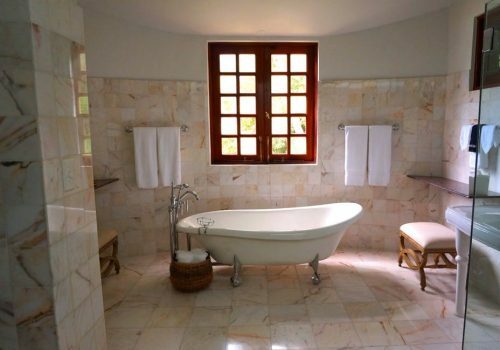 Remodeling your bathroom is often seen as a major inconvenience to most homeowners. On the flip side, a newly remodeled bathroom adds a lot of value to your home while simultaneously providing you with modern updates that fit your specific taste. Here’s the real trick to getting through a bathroom remodel with minimal headaches: hire a professional home contractor to complete your bathroom remodel. In doing so, your entire bathroom remodel will be completed within a designated timeline that is provided by your contractor. This means you only need to function without the use of this bathroom for a short period of time. If you try to do a remodel on your own, you are likely to drag this project out for months. Before you speak with a home contractor, take a look at this step-by-step overview of the bathroom remodel process. This will give you an idea of what you need to be thinking about now, and what you should expect as the project moves forward. Step 1: Planning Phase. It’s important to know exactly what you want from the end result of your remodel. Maybe you want more space? This may require you to move the toilet and shower to different spots of the room. You also need to consider the fact that plumbing will need rearranged if you significantly relocate appliances. You should also be considering the types of materials that you want. This includes the type of flooring, backdrops for the sink area, countertops, shower/tub styles, and hardware (such as sink fixtures, towel racks, etc.). Step 2: Speak with a Professional Home Contractor. Find the right contractor to get the job done exactly how you envision. Utilizing the Repairman App is the easiest way to connect with licensed, professional contractors in your area. Review your detailed plan (including the exact materials that you want to use) with the contractor and work out an estimate and time frame that works best for you. Step 3: Demolition. The amount of demolition will depend on the extent of your remodel. But be ready for a loud, messy day when things get started. Ripping out sinks, showers, and toilets is a dirty job, but also a necessary step to your bathroom remodel. Your contractor will ensure that all demolition is handled safely by taking the proper precautions, such as turning off the water and power to the room. Step 4: Plumbing. As mentioned earlier, if you are moving appliances around, your plumbing will need to move with it. Toilets, showers, and sinks all require different plumbing setups. If your contractor is not comfortable with the required plumbing work, you may need to bring in a professional plumber. Step 5: Electric. If you move your sink to a different part of the bathroom, electric will need to be run over to that particular spot. It’s also likely that you will be putting in new light fixtures that will need to be changed out by your contractor. Step 6: Purchasing and Installing of Hardware and Appliances. Once you get through demolition, plumbing and electric, the fun can finally begin. This is where you start to see everything come together. This is the installation of your new shower, tub, sink, toilet, countertops, tiles, hardware fixtures and flooring. Once all of this is finished, it’s always a good idea to put on a fresh coat of paint to give it that final “pop” in color. Hopefully, these steps help give you the overall picture of what takes place with a bathroom remodel. You can find a wide array of other home improvement topics on our blog. And check out the Repairman App to find a licensed professional who can properly carry a bathroom remodel to meet your specifications. Along with contractors, you can find plumbers, electricians and handyman services that can also help you with this type of project. And don’t forget to sign up for our newsletter for the latest news and updates.